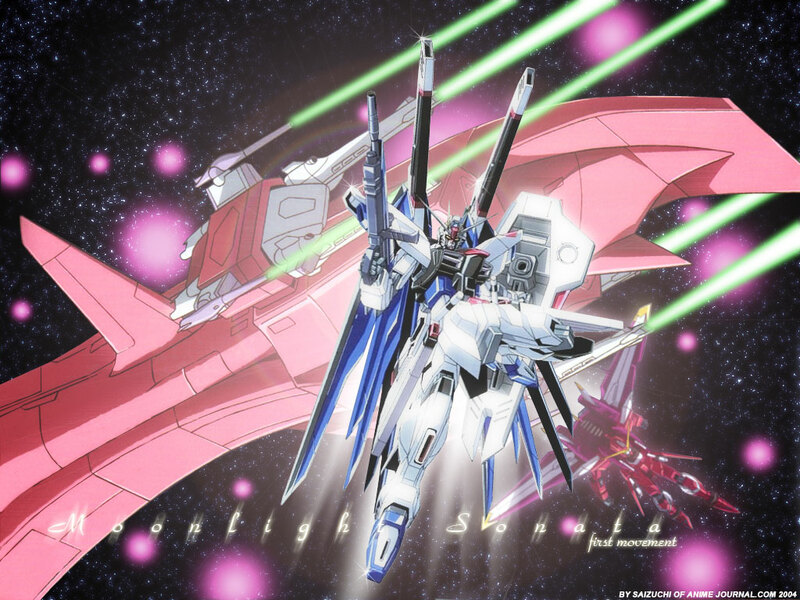 A Gundam Seed Wallpaper inspired by Beethovon's Moonlight Sonata. Creator Saizuchi. Nice....i like the concept. Freedom looks a little sharp compared to the background....but other than that this wall looks great. Nice work :) !! very nice, another great wallpaper... but the gundam seems a bit too bright and too sharp... thanks for sharing! interesting but is that suppose to be eternal in teh back ground? i dont remeber it having laser liek that! Any ways i liek freedom there it works well seein ghow there is a lacusXKira!